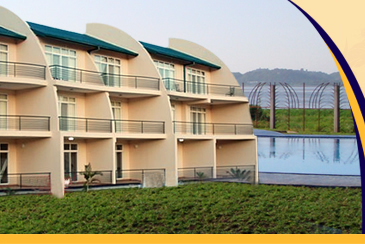 Ryan’s Bay, a newly built hotel in Mwanza, is situated in the heart of the city – on the shores of Lake Victoria. It is luxurious yet affordable with 50 spacious rooms & 4 service apartments, each with an oversized workstation and private balcony. Each guest room and suite offers a magnificent view of the bay. 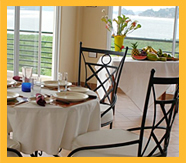 The restaurant is spacious and also has an excellent view of the lake. It has a sparkling clean private swimming pool and lounging area for residents only. Other facilities include a conference hall for up to 45 people, fitness center and free wireless internet. 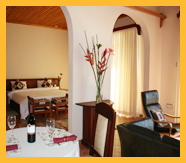 It also provides room and laundry service and a private barbeque area. 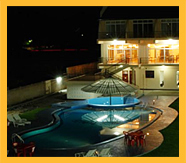 Ryan’s Bay Hotel invites you to enjoy the warm and welcoming atmosphere. Our service is friendly and professional as customer satisfaction is a top priority here.